necessarily be the correct term since it is still very much with us and so is ramen. Yet, the whole phenomenon of multiple restaurants opening up serving the same thing trying to one-up each other can be "fad-like". The latest one would definitely be the Neapolitan-style pizza. 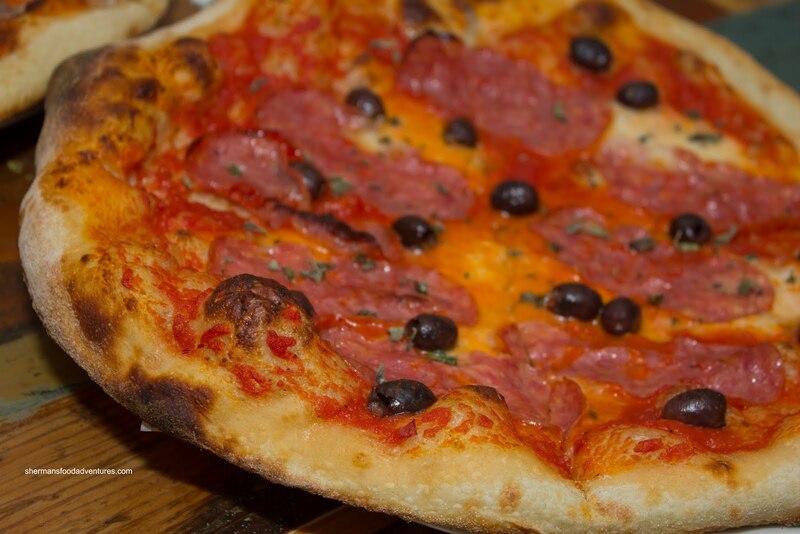 With choices such as Nicli Antica, The BiBo and Verace, there has never been so many wood-burning oven thin-crust pizzas available in Vancouver. T he latest to join the fray is Pizzeria Farina located in the Cobalt Hotel. Yes, that is not a typo. It really is located in the Cobalt! That information really troubled both Rich Guy and Snake. It was particularly a concern for Rich Guy since he and dives go together like a calm shopping experience and Stupidstore. 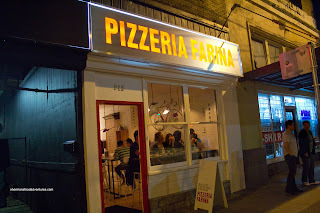 Nonetheless, I dragged them both including willing diners, Costanza and Vandelay, down to Pizzeria Farina. Make no mistake about the place. It is truly basic with a simple menu, communal seating and order at the counter protocol. This results in a much more reasonable price compared to the other joints. Another thing you won't find here is fancy ingredients such as San Marzano tomatoes or buffalo mozzarella. Nor do they have a wood-burning oven. No frills, no gimmicks. 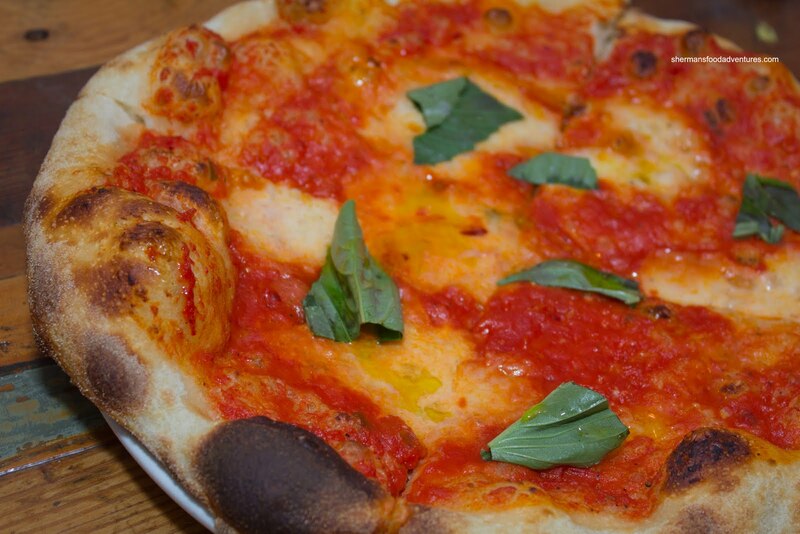 They make due with what they have, which makes it incredibly impressive that their Pizza Margherita is the best I've had to date in Vancouver. The crust was very crisp and thin hot out of the oven. It was consistent in texture from the middle out to the edge. There was a decent amount of charring (or leoparding) on the bottom and edges of the crust. The crust was actually flavourful on its own since it was properly salted. As for the tomato sauce, it exhibited a good balance of flavours with just enough tartness. 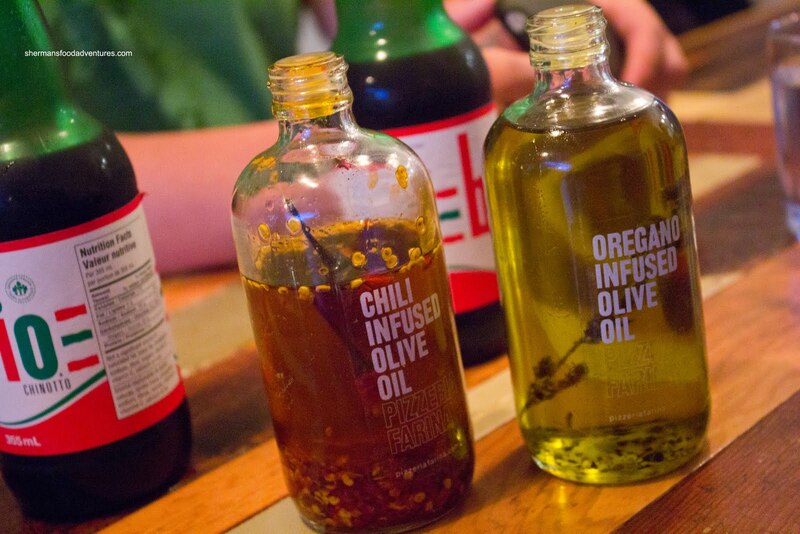 The fresh basil and drizzle of olive oil completed the package. No offense to the other pizzerias (they are good in their own right), but I just personally like the one here more. 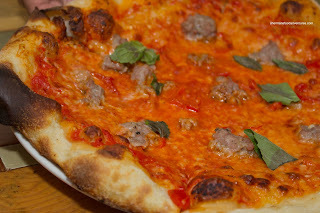 Snake and Costanza both had the Finocchiona consisting of fennel sausage, provolone, Parmesan and spicy peppers. This one was much more complex in flavours compared to the Margherita. The liquorice-ness given off by the fennel combined with the saltiness of the Parmesan really worked with the spicy peppers. Lots of "pop" from this pizza. Since Rich Guy had the Margherita as well, I was praying that Vandelay would order something different. He came through with the Calabrese which was topped with Soppressata and Nicoise olives. This was another flavourful pizza due to the saltiness of both the soppressata and olives. Combined with the same great tomato sauce and crust, I enjoyed the slice that Vandelday graciously offered to me. Similarly to Nicli Antica, Chili Infused as well as Oregano Infused Olive Oil were available table side. We all agreed that they were impactful and added much to the pizzas. In the end, even Rich Guy conceded that this was some fine pizza even though he would've never visited the place on his own. I'm not sure what the future holds for Pizzeria Farina because The Cobalt has seen better days (or has it?). Are they going to stay at this location or will they relocate? 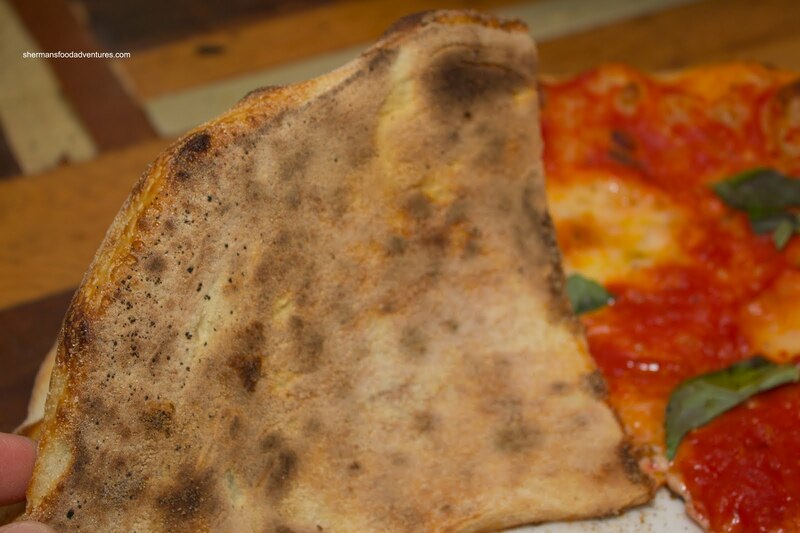 One thing is for sure - if they keep doing what they are doing and maintain their current pricing, this is not only the best Neapolitan pizza in town, it is also the least expensive too. Hmmmmm... Am I overlooking something? I mean, what is the issue with the location? Sure, it is located in an "interesting" place but, hey, Campagnolo is block and a half away, and new places like London Pub is near as well. Also, Kent's Kitchen is not that far! Probably because I am so used to this that no place in Vancouver really fazes me? Other than that, pizza looks good! Odd question, they have chinotto soda?? ?